When you look outside your window, do you see an uneven sidewalk or cracks in your driveway? DBS uses polyurethane foam to lift concrete slabs in Duluth Superior Area. PolyLevel® is installed in a simple 4-step concrete lifting process that results in a safe, secure and level concrete slab. 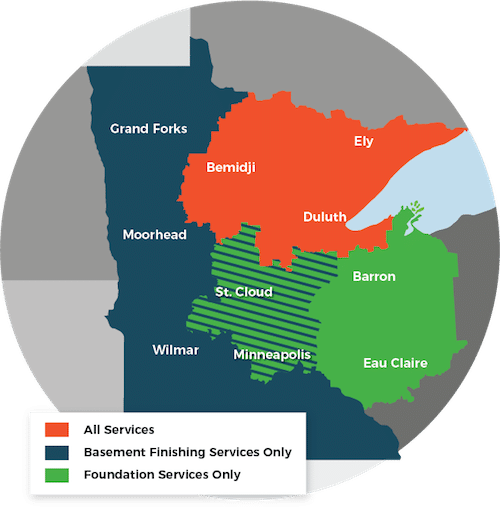 Contact DBS to meet with one of our concrete repair experts in Duluth, Superior, Minneapolis and nearby. We will inspect your foundation or concrete slab and provide an estimate to have your sunken concrete slab lifted with PolyLevel®.